Tulsa Wedding Venues sees many different types of weddings with many types of different food. 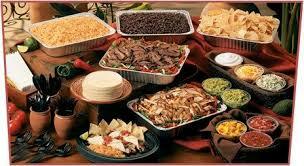 What type of food do you want to serve at your wedding? That is a very good and practical question that the bride and groom need to answer. It does not have a right or wrong answer. It is merely just a question that needs a decision. Some couples decide by having food that they themselves like. They might be partial to Mexican or Italian or BBQ and decide that is the fare they want for their big day. This is always a good decision because ultimately this is the bride and groom’s day. Why not have the food they want the most and food that is a favorite of theirs. It will be a decision they will not regret and can even be a comfort to them on a day that can sometimes be a little stressful. Another determining factor could be what type of wedding you are having. If you are having a more formal type of wedding, then it will probably call for a full-on catered event with hired servers as well. It would probably require real china and glassware and several courses. This of course is one of the most expense options. 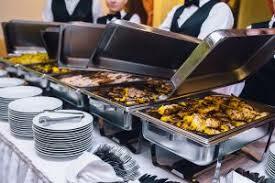 This can also be a good decision though because it puts everything in the hands of the caterer and you will not have to worry about anything. You will of course pay more for this upscale service but it could be well worth the extra money in the end. Another option is to do something a little more memorable and off-the-wall or even over-the-top. This could be something like having breakfast food or different types of food bars such as baked potato, macaroni and cheese, or taco bar. Sometimes these types of fares can be the most fun. It definitely calls for a more casual type of wedding but it can also add a certain type of sophistication. Laying out a certain type of bar is as appealing to the eye as it is to the stomach. Providing multiple toppings and options usually appeals to most all of the guests. 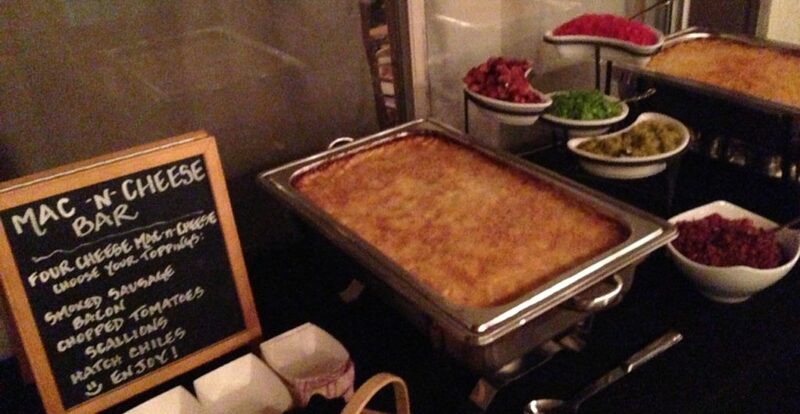 Here are a few links to some great ideas: macaroni-cheese-bar, baked potato bar, and taco bar. In the end, the type of food to serve at your wedding should be decided with a few things in mind: Cost, amount of time you want the dinner portion to last at the reception, appealing to the taste of the bride and groom, and appealing to the taste of the guests. Again, there is no right and wrong to the decision, it is mainly preference as well as budget. These would end up being the biggest two deciding factors. Some Tulsa wedding venues require you to use their catering services but there are other Tulsa wedding venues that let you do whatever you want with no specific vendor requirement. Although this does not need to be decided first thing, it is definitely something you don’t want to put off until the last minute. 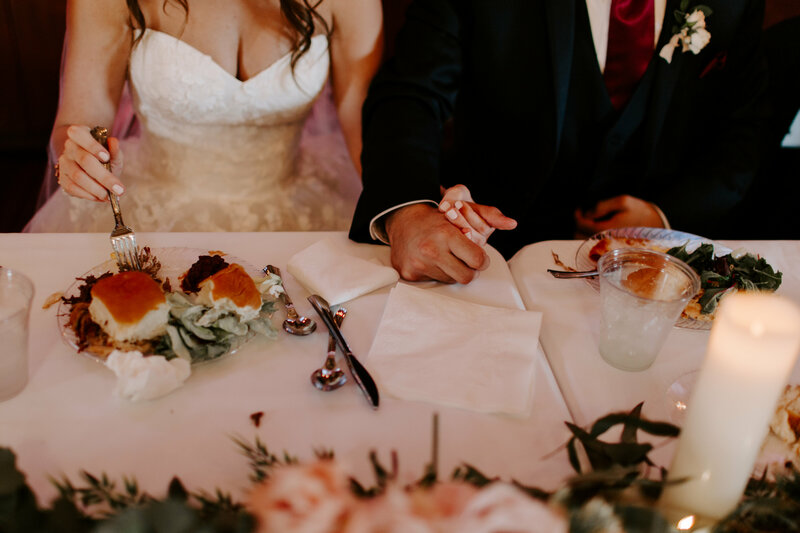 We suggest going to different places and sampling different foods and fares before deciding what type of food you want and then deciding who you want to cater it.